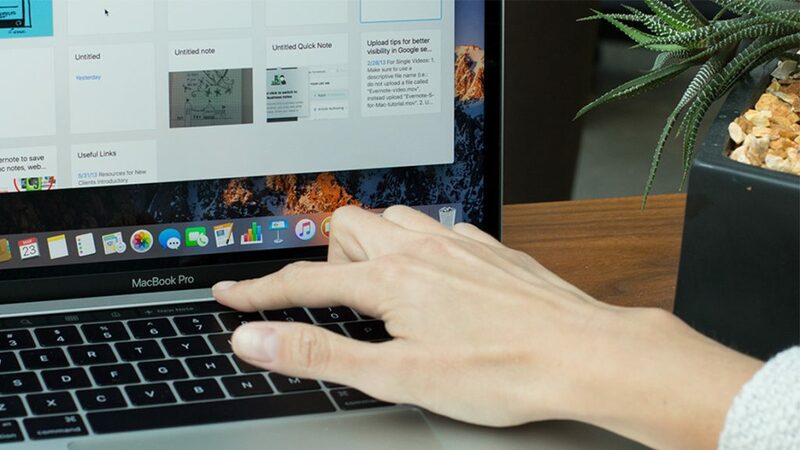 Evernote is the latest to integrate Touch Bar into the MacBook edition, simply adding a handful of controls that mimic those found in its smartphone app. Now users on the 2016 MacBook Pro will be able to use the Touch Bar commands to browse, customize, and edit their notes within the app. Evernote breaks down five ways the new Touch Bar features improve the note-taking app, including easily searching for content, quickly composing a new note, using colorful feedback tools from the Touch Bar, as well as using the Touch Bar color picker to assign colors, meaning that the bar turns into a slider when choosing the colors, it pulls out a suite of markup tools for images and also adding tags with a tap. The update should begin appearing throughout the day. Evernote specifically says that it was trying to make its controls fall somewhere between touchscreen buttons and keyboard shortcuts, so that it makes sense to see it land on this kind of basic result. Notably, Spotify finally added Touch Bar support to the Mac app, giving users quick access to skipping songs, and a time stamp scroll bar similar to Quick Time’s integration. Evernote said the addition of Touch Bar support will give users quick access to key navigation features and note editing commands found within Evernote.